This week marks three years of living in Chattanooga. How crazy is that?! I moved here in 2015, fresh out of grad school, didn’t know a single person and was some combination of excited and terrified. 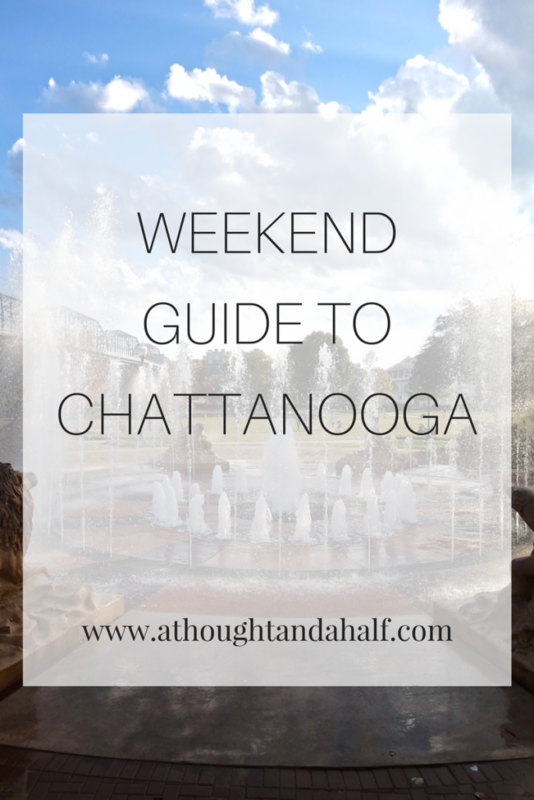 Fortunately that fear didn’t last long, and I am more than proud to call myself a Chattanoogan. 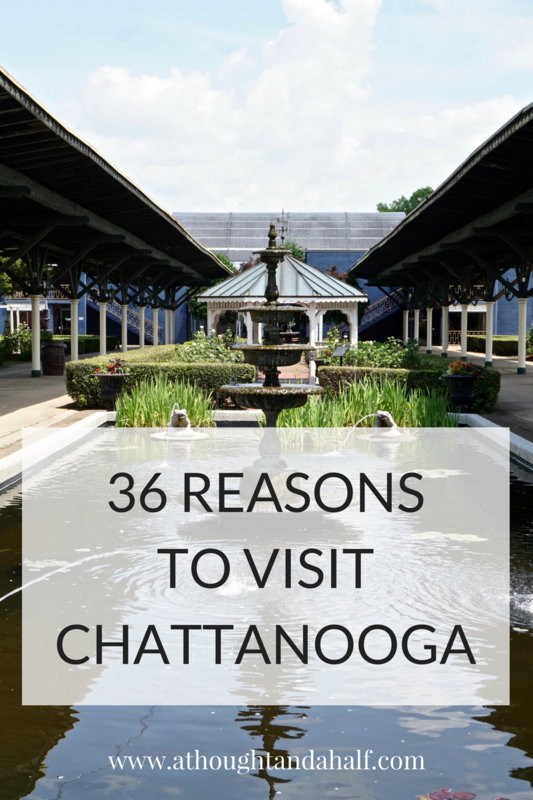 After living here for three years, it’s easy to see that there are so many wonderful reasons to visit Chattanooga. I love good traditional brownies, but adding a nice dark beer to them just kicks those rich, chocolate flavors up a few notches. Beer brownies might be my new favorite brownies. 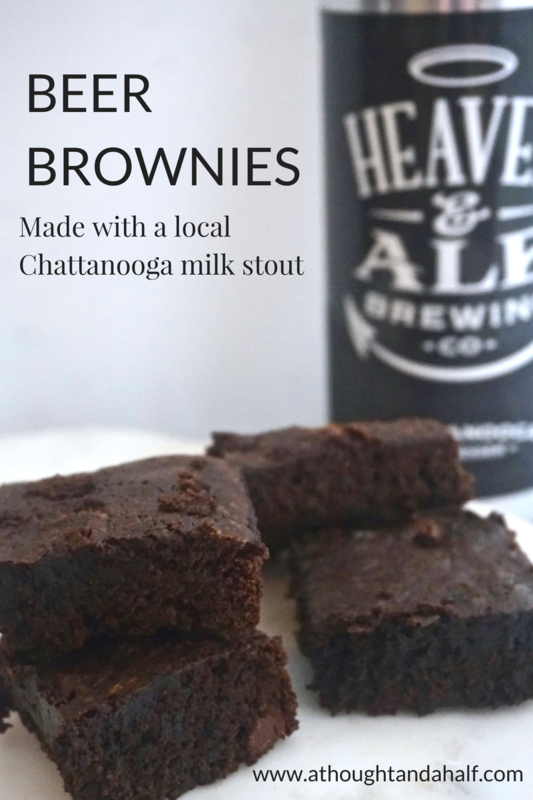 I experimented with beer brownies a few times last year. The first batch I tried, I made with a barrel-aged pumpkin ale, which ended up being a really unique flavor combination. The other time I made them with a brown ale, which was nice, but not quite as strong a flavor as I would’ve liked. Then I tried the Love Supreme milk stout from local brewery Heaven & Ale, and my life changed. It’s been a crazy month, y’all. Between launching my podcast, the day job picking up, side projects and whatever else has come up in my life lately, rest and time to myself had become a rarity. I had to remind myself several times that it’s okay to rest and take a break. But alas, it’s been a hot minute since I did a Weekly Sip post, so it’s time for a new one. 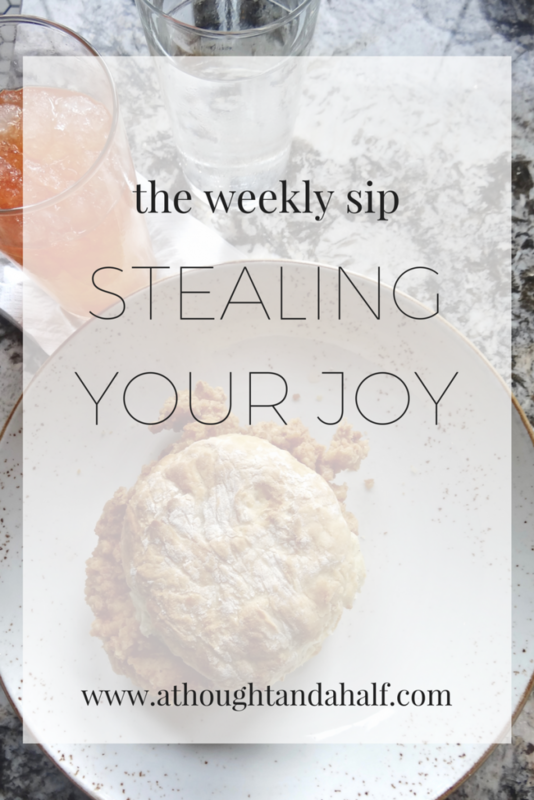 If this is your first Weekly Sip experience, check out my vision for the series, and catch up on my previous Weekly Sip posts here! 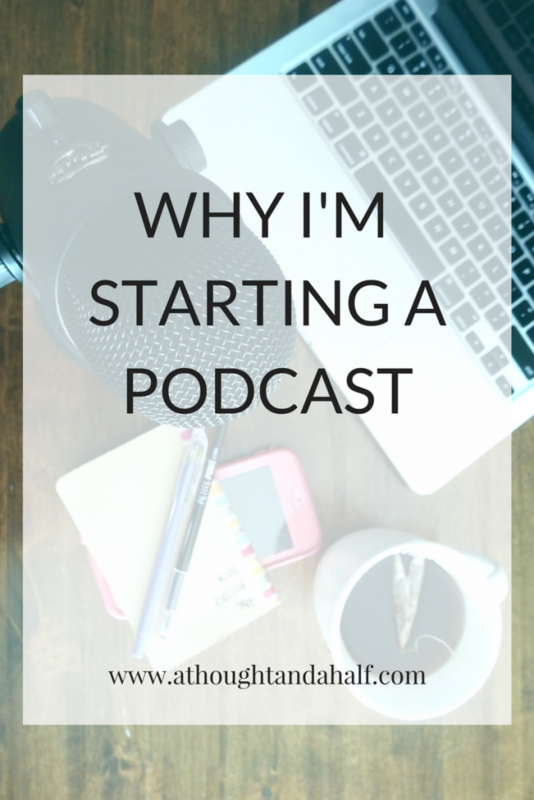 That’s why I wanted to start a podcast. Well, that’s part of why I wanted to start a podcast. There’s a little more to it than that. To be honest, I wanted and needed yet another side project, and learning something completely new from scratch seemed like a good idea. Ah, Valentine’s Day! Some say it’s the most romantic day of the year. It’s a day to show that special someone you love them—whether that special someone is a significant other, spouse, or just a really good friend. It’s always nice to let someone know you love them! Or it’s just another day on the calendar… however you choose to look at it! 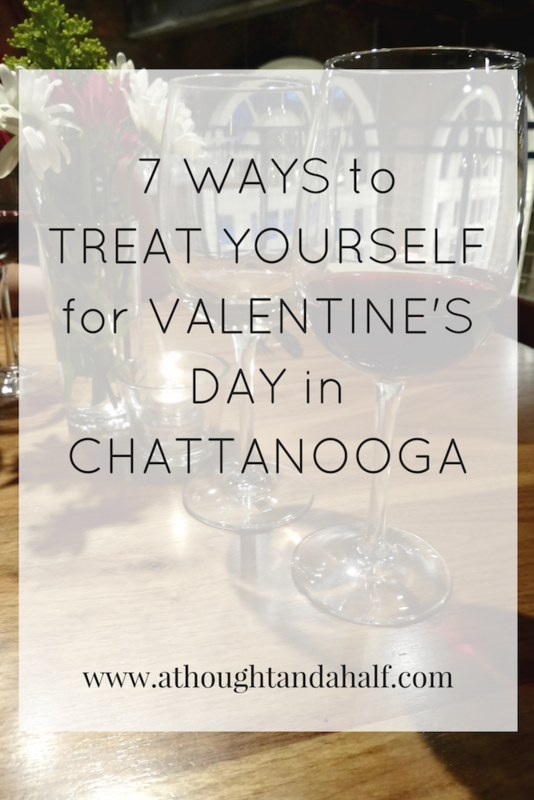 Even if Valentine’s Day isn’t your thing, it’s a great opportunity to treat yourself. I’ve said before that it’s just as important to take care of yourself as it is to take care of others.